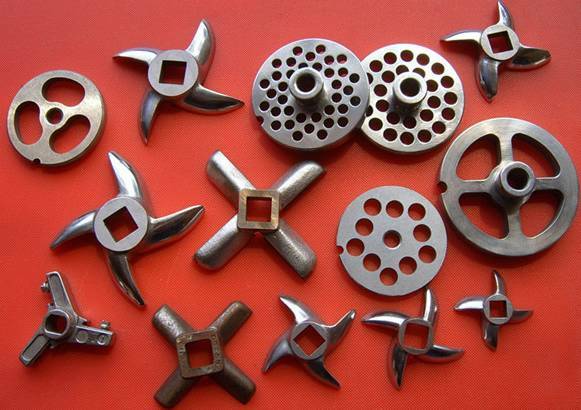 Martensitic stainless steel investment casting can be produced in ANYE foundry. Martensitic steels are also in the AISI 400 series. These wrought, higher-carbon steels contain from 11.5 to 18% chromium and may have small quantities of additional alloying elements. They are magnetic, can be hardened by heat treatment, and have high strength and moderate toughness in the hardened-and-tempered condition. Forming should be done in the annealed condition. Martensitic stainless steels are less resistant to corrosion than the austenitic or ferritic grades. Two types of martensitic steels -- 416 and 420F -- have been developed specifically for good machinability. Martensitic stainless steels are used where strength and/or hardness are of primary concern and where the environment is relatively mild from a corrosive standpoint. These alloys are typically used for bearings, molds, cutlery, medical instruments, aircraft structural parts, and turbine components. Type 420 is used increasingly for molds for plastics and for industrial components requiring hardness and corrosion resistance.